Some people are sure of their destined career from the moment they can talk; others simply fall into it, discovering their passion out of necessity rather than pursuit. For the man now known by many as the world’s greatest living chef, Spaniard Ferran Adriá, it was the latter. At the age of 18, after studying economics, he took a job as a dishwasher in order to earn some quick cash to pay for a party-fuelled holiday in Ibiza. But soon he had graduated from sinks to salads, and when his compulsory service in the Spanish Navy gave him the opportunity to become head chef of a kitchen, Ferran’s passion was well-and-truly ignited. While on leave from the military, he applied for a one-month traineeship at elBulli – then a French haute cuisine-inspired restaurant – in Cala Montjoi, about 160 km north of Barcelona. Immediately his talents began to bloom and Ferran was offered the position of line chef. Soon after he was appointed one of the restaurant’s head chefs, assuming the helm autonomously in 1987. But it wasn’t until 1990, when he became co-owner of elBulli, that Ferran began to focus all of his passion and creativity into his culinary work, and the gastronomic wizardry that has seen him revolutionise the art of cooking began to take place. Inspired by French nouvelle cuisine, Ferran began to experiment with new cooking techniques, gradually pushing gastronomic boundaries and exploring food in ways that had never been considered. By the mid-nineties, his reputation for avant-garde creativity was spreading and Ferran had discarded conventional cooking techniques in favour of developing new concepts that would innovate the preparation of food. 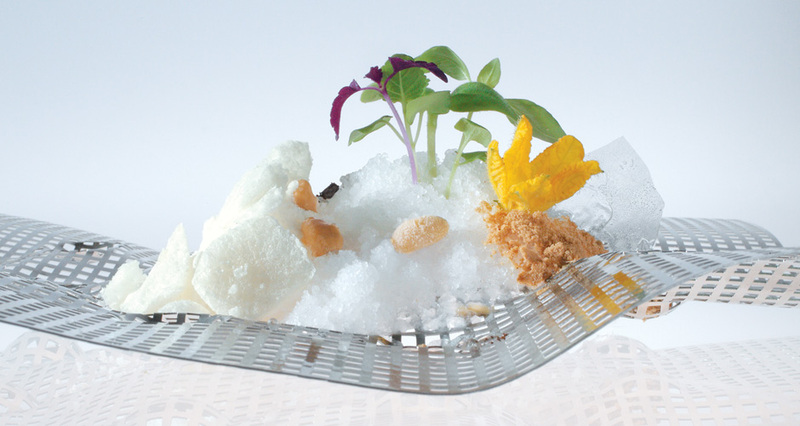 In 2002, with three Michelin Stars to its name, elBulli was judged ‘Best Restaurant’ by British magazine, Restaurant. Regaining the title in 2006, elBulli has since yet to relinquish its reign as the world’s most revered dining institution. At the time of this interview, Ferran is amidst one of his busiest weeks of the year, as elBulli opens its doors for the beginning of its 2009 season (June to December). The restaurant is already booked out for every sitting of the year, and of the close to half-a-million food lovers who contacted elBulli, hoping to experience Ferran’s famed 32-course degustation menu, only a lucky few thousand have been able to secure a reservation. The rest must try their luck again in 2010. For the other half of the year, from January to May, the restaurant closes while Ferran and his team travel the world in search of inspiration, before retreating into the elBulli Taller (studio) in Barcelona to begin the marvellous experiments that will compose the following season’s menu. The magical devices that are rumoured to be used inside the mysterious taller include chemical baths, liquid nitrogen and fairy-floss machines – not to mention the odd power tool. Though it is commonly used to describe his techniques, Ferran is quick to distance himself from the term ‘molecular gastronomy’. As he points out, it was a label coined in 2004, whereas he had started such experimentation during the mid-nineties. What he and his collaborators specialise in is deconstructing ingredients to observe their properties and behaviours and then manipulating and presenting them in forms that defy convention. It was Ferran who first created the culinary ‘foam’ now used by many of the world’s top chefs. Other phenomena to emerge from the Catalan wizard’s lab include Hibiscus Paper with Blackcurrant and Eucalyptus, Beetroot Ribbons with Vinegar Powder, Carrot Air with Bitter Coconut Milk, Rosewater Balloons with Lychee Sauce, and Chocolate Coral. With all this, one might think that a man who is constantly lauded for his gastronomic genius might have taken advantage of his success and, like so many rising stars of the restaurant world, flitted between Michelin-starred restaurants as he added more strings to his gastronomic bow. But no such desire has ever captured Ferran’s intentions, for his heart still lies firmly in the place where his love for cooking truly blossomed – at elBulli. As a child I dreamed of being Dutch soccer player Johan Cruyf. Were your parents an influence on your career? No, none of my family members were in the restaurant field. What started your love of gastronomy? My love for it began little by little, during my time working as a dishwasher in order to earn money to pay for my vacation. Do you consider yourself a success and how do you define that success? I suppose success comes from many years of working and having passion for the kitchen. 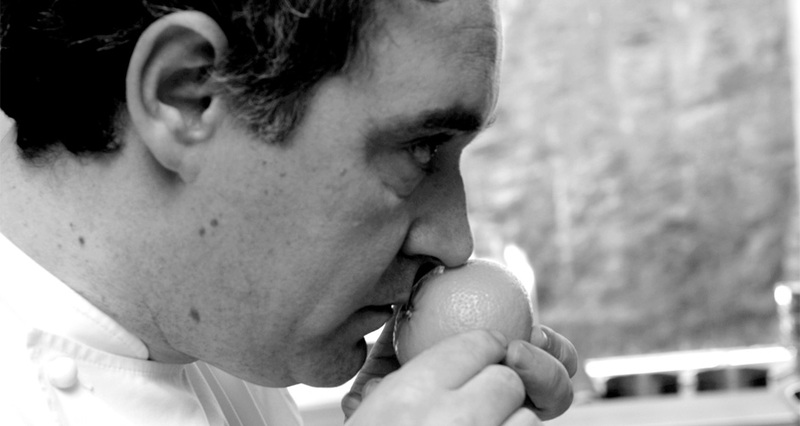 Passion is truly the conductive thread throughout the history of elBulli. You are constantly pushing boundaries as a chef, and have done so for more than 20 years. How do you fuel your creativity to constantly create new ideas? I fuel my creativity simply by wanting to be better at what I do each day and wanting everyone who visits elBulli to enjoy every part of what we do. Do you feel a great pressure to be constantly innovative as a chef? No, pressure is what we put on ourselves. You simply must treat everyone who comes to your restaurant as best you can, whomever they are and wherever they come from. Many successful chefs constantly move restaurants throughout their careers – what has made you stay at elBulli for such a long time? What do you hope to achieve with each dish that you create? I simply would like to achieve satisfaction in every bite for everyone who tries it. What two ingredients would you consider to be the ultimate flavour combination? There are many wonderful different combinations, but I would say anything with technique-concepts that make them unique. It was in a restaurant called Mibu in Tokyo, Japan. It’s a great restaurant with one single table, where Hiroyoshi Ishida cooks from his soul. It was one of the most important experiences of my life. What advice would you give a young trainee chef today? Be very enthusiastic about learning, not only in the kitchen but in everything to do with the restaurant. Learn all about the organisation, how it functions and the numbers behind it – to limit your knowledge just to cooking is not enough. How did your experience in the Navy influence you as a chef? It was very positive and it gave me the opportunity, while I was still very young, to become the head chef of a kitchen. It also taught me many things that I surely never would have learned otherwise. Who has influenced you personally? My parents, my wife and my brother have influenced me the most in my personal life. Who has influenced you professionally? Professionally, I have been most influenced by all of the fathers of nouvelle cuisine. To get up everyday for 15 years and believe in something more. for them, is the greatest success we could ever have. Inspiration and ideas can come from many places – while reading, travelling, working … but you never know exactly when and where they might strike. Where do you find peace in life? I find peace in Cala Montjoi, where elBulli is located. What is your dream now? Always try to be the best person you can be. "Always try to be the best person you can be."